What is ICAN? ICAN stands for the International Children’s Anophthalmia Network. It is a support group made up of families who have a child diagnosed with very underdeveloped eyes and professionals who treat anophthalmia and/or microphthalmia. For many parts of the world, this disease is rare and therefore, it is difficult to treat since many professionals lack experience. Carole Lewis, Board Certified Ocularist, of Esthetic Eyes, Inc. has been part of ICAN for several decades, she also continues to support these families who have a child affected by this disorder. Our patients who were once an infant born without an eye flourished to become very confident and successful adults in the business world, and furthermore, treatment has allowed them to put this issue behind them. With our ultra-natural restoration services, we establish a long term relationship with our young patients who travel from all over the world for our patented digital iris technology, expansion stinting therapy, and bony orbital growth. Carole has been an invited to speaker at ICAN France and Asia Pacific. Recently she had the opportunity to speak to ICAN’s audience during their annual conference in San Francisco last Fall as well. While at ICAN San Francisco, our Esthetic Eyes staff met a young patient who traveled to our Beverly Hills office after the meeting. Her previous prosthesis was too small, flat, and sunken back in her socket. Her lids were not in the correct position and did not have the natural curves her other eyelids have. We fabricated a better fitting prosthesis that was on the same plane as her natural eye, opened her lids to be equal, gave the lids the same curves, and incorporated our patented digital iris technology just in time for her entry into elementary school. 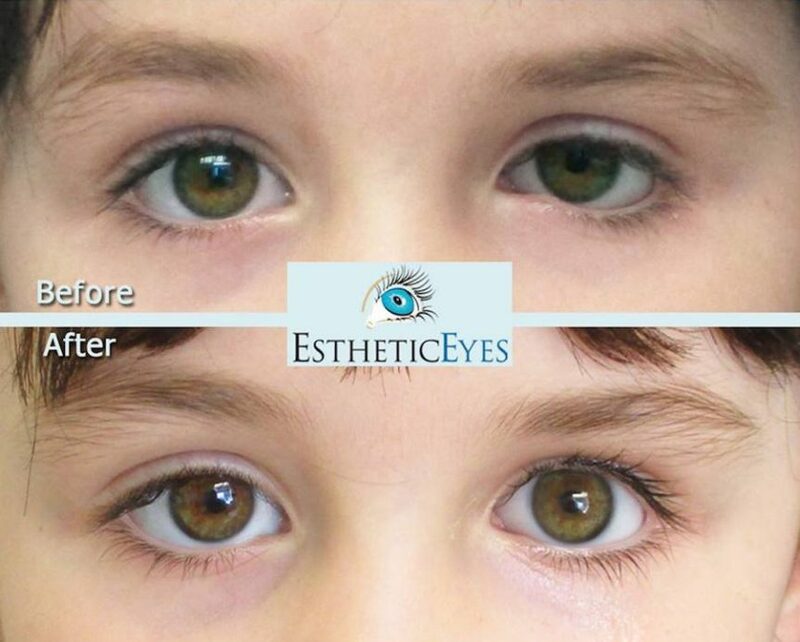 Please join our Facebook Page (https://www.facebook.com/estheticeyes/) to get additional information on our services or the ICAN website (http://www.anophthalmia.org/ocularist/).